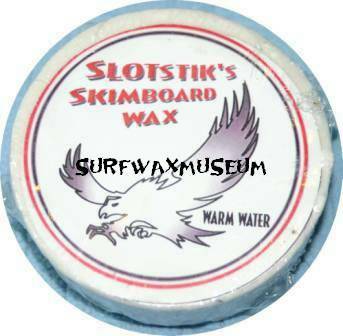 Slotstiks Skimboard Wax. Year/Maker? Killer stuff. Smack. Everyone knows Smack. 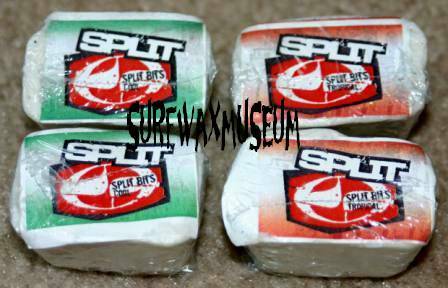 The shop I bought these from said that the GanjaWax actually makes this wax. No surprise. It works great. Two more from the set. Snot. Australian. Got this from a killer little shop. I only have 1 so I am never using it. 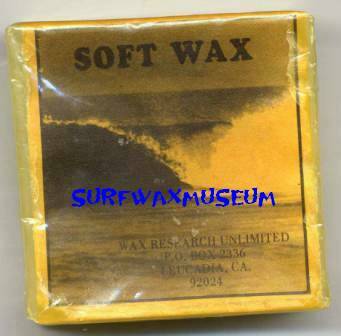 Soft Wax. Done by WR. 70's. WR is simply awesome. Dahl will definitely go down in history. 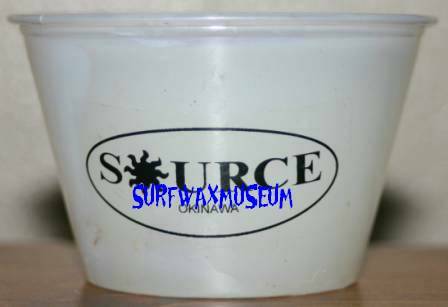 Source Okinawa. Got this from a trade with Andy. Mahalo again brah. 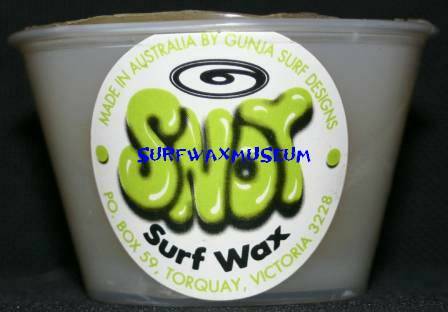 Southern Comfort Wax. Year/Maker??? I actually only have one. Sorry folks. One shot per customer. 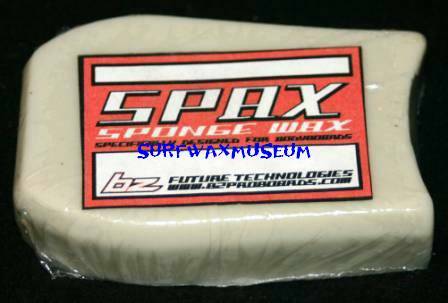 Spax Wax. 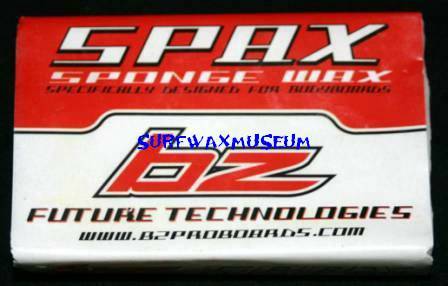 Bodyboard wax. Paper label. Same deal, different shape and label. Maker???? 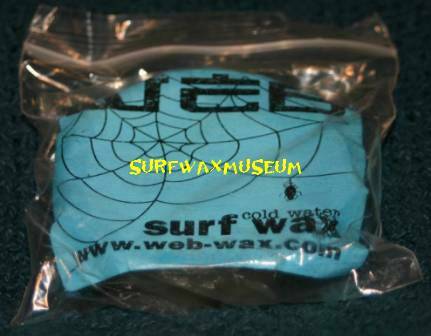 Spider Web Wax. Got this from the Oregon Coast. Split Bits. I actually have another label or two in a different color. I have the full set of course. Sprog. Great frickin label. Ya gotta read it. Stickit. 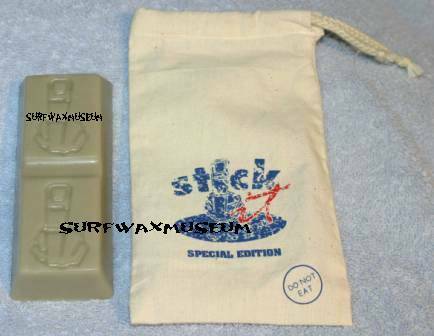 This is the original bar from the company. Great baggy and all. 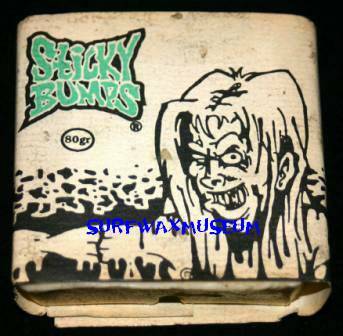 Sticky Bumps. This is an Origianl bar. This was the 2nd label ever done. '85. 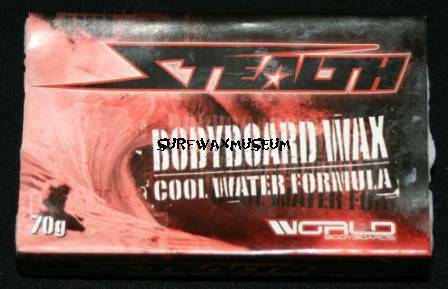 The original label was hand painted water color.